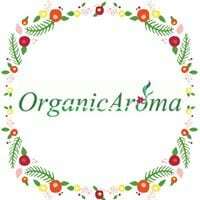 In a world that has been invaded by toxins, Organic Aroma was created to offer the best-certified organic products, which draw on the intelligence that Mother Nature has enclosed in plants. Their suppliers have been producing more than 300 Certified Eco-Bio products, not tested on animals. Owners of the largest laboratories of natural products in Europe, they have created an amazing line of cosmetics, that is by combining the wisdom of Ayurveda, Naturopathy, & Aromatherapy with the most advanced cosmetic knowledge to bring beauty to skin of all types based on the Doshas (Vata, Pitta, Kapha). Offering Nature’s own wisdom to nourish the body, the senses & the soul, radiating wellness, so that you may shine in your full Beauty!